Our price comparison engine finds the best offers for your old electronics. How do I know my cell phone model? To identify your phone, you can check the model number on the sticker under the battery or look in the phone's Settings app. Model info can usually be found under your phone's battery. 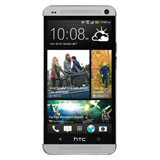 At uSell.com, you can see that we have offers on a wide range of Verizon HTC cell phones. When you sell Verizon HTC cell phones, it's important that you select the correct device to ensure fast payment and prevent potential requotes. 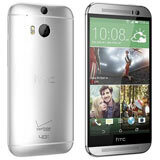 If you can't easily identify the phone that you are selling from the photos above, you can check the Verizon HTC cell phone model number on the sticker under the battery, or look in the phone's Settings app. If you still don't know, just contact us! We're here to help!